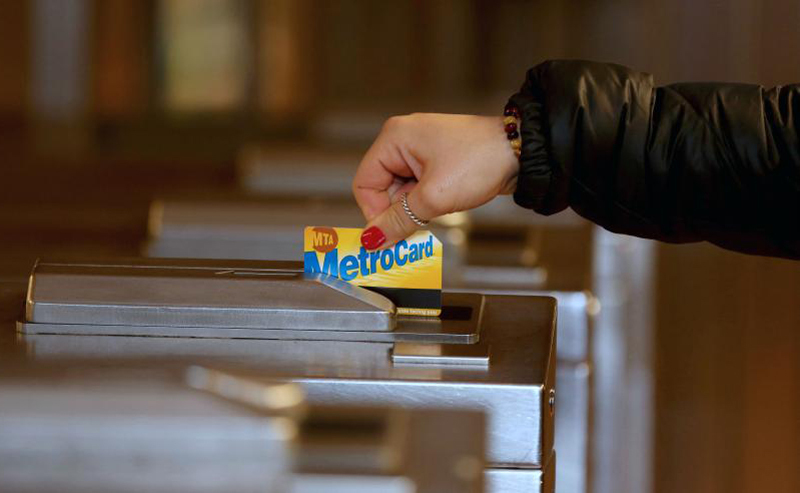 MTA's 'Fair Fares' Discount MetroCard Program Will Launch Without A Single Ride Option. In January, half-priced MetroCards for low-income New Yorkers will come to the city, but the discounts will only apply for monthly or weekly passes. New details about the Fair Fares program, which was officially included in the city budget in June, were released on Tuesday during an MTA board meeting. It became clear that the MTA will not be providing single trip discounts when the program kicks off next year. Instead, low-income New Yorkers who are living at or below the federal poverty level, or a household income of $25,000 for a family of four, can buy half-off 7-day or 30-day passes. The City Council and Mayor Bill de Blasio have agreed to provide roughly $100 million in funding six months of the program, fully subsidizing the cost of MetroCards during the test run. The MTA's Senior Vice President for Operations Support, Tim Mulligan, said at Tuesday's MTA board meeting that he thinks the program will be good for the agency. "We're hopeful that this will bring new customers to the system and increase ridership, that would be great," he said. Original estimates found nearly 800,000 New Yorkers would benefit from the discounted subway and bus fares but it’s now unclear how many that will still benefit without a reduced fare for single rides. Since the program is starting as a pilot program, details are still being worked out.